To use, apply 3-5 drops of the serum to dry, clean skin prior to your moisturiser. Massage into the skin and allow to sink in before following up with your regular moisturiser or night cream. It can be used twice a day, morning and night. It can also be used elsewhere of your choosing too, such as on the lips. It has a relatively thick consistency for a serum which I would imagine is because of the hyaluronic acid. Another hyaluronic acid serum that I have is similar consistency wise, but this serum is slightly thinner. With that said though, it absorbs pretty quickly into the skin. I’d suggest either working fast at applying or applying to the skin in sections (which I find preferable as you get less excess that way). It has a beautiful scent to it which is down to the Sweet Orange oil. The first time I used the Vitamin C Serum it tingled the skin a little bit, but it was that kind of good tingle that you get from certain products, if that makes any sense. The kind where you know it’s working. There was no redness or sensitivity that accompanied it, just a mild tingle sensation. The last product that I used that had this sting was a fantastic night cream, so I persevered. I’m glad I did! I saw results with this serum from day 1 even though Generation Skincare said that it can take between 7-14 days. I knew I was excited to see where it went if I was already seeing results after only a day. Upon waking up there was a new glow to my skin and any redness was reduced. After a couple of days of use however, my skin began to purge a little. It wasn’t anything major, but a few very tiny spots began to appear. After a few days of continued use though they all disappeared again and my skin was just clear and glowing, redness almost gone entirely. If you apply too much then it can leave the skin feeling kind of sticky, so I do advise to only apply as much as you need and steer clear of applying extra for the sake of it. I have very oily skin and I’ve used it both morning and night and I haven’t had any greasiness or extra oiliness throughout the day, so I can safely say that it doesn’t aggravate oily skin. On the flip side, it also doesn't mattify the skin. It doesn’t cause any issues with makeup being applied over the top, but also doesn’t extend the wear of makeup in any way either. The bottle does state that you can use it anywhere else that you want to, such as the lips. I haven’t tried it on my lips, but I thought it was worth mentioning here. Overall, I rank this pretty highly in the list of serums that I’ve tried. The downsides for me are the fact that it does tingle the skin upon use and whilst I’m okay with that, I can imagine some being put off by this. Additionally I don’t like the stickiness that you can get if you apply too much as it is pretty easy to apply too much. If you squeeze too much out of the pipette you might just think to use the excess on your face anyway, but that’s how you use too much and get the sticky feel. If you get the amount right though and aren’t put off by potential tingling then this serum is a fantastic purchase. Amazon is becoming a goldmine for serums nowadays as well as other skincare products. 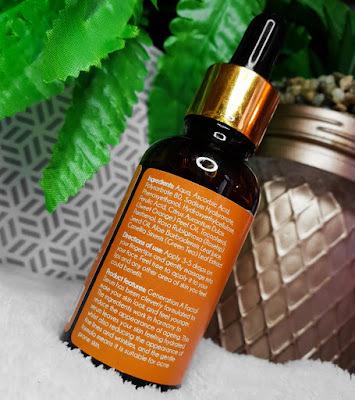 It’s giving smaller skincare brands a platform to bring us their products and whilst some people may feel a little perturbed by that I do suggest that they read some reviews and research online to find something they could just well fall in love with, like this serum. 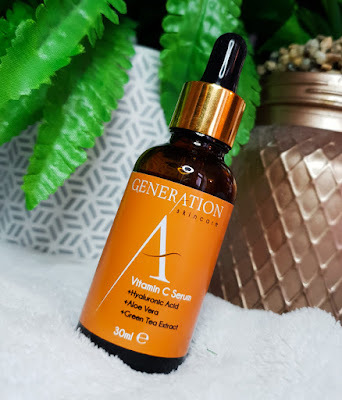 If you want to try out the Generation Skincare Vitamin C Serum you can grab a bottle from Amazon. 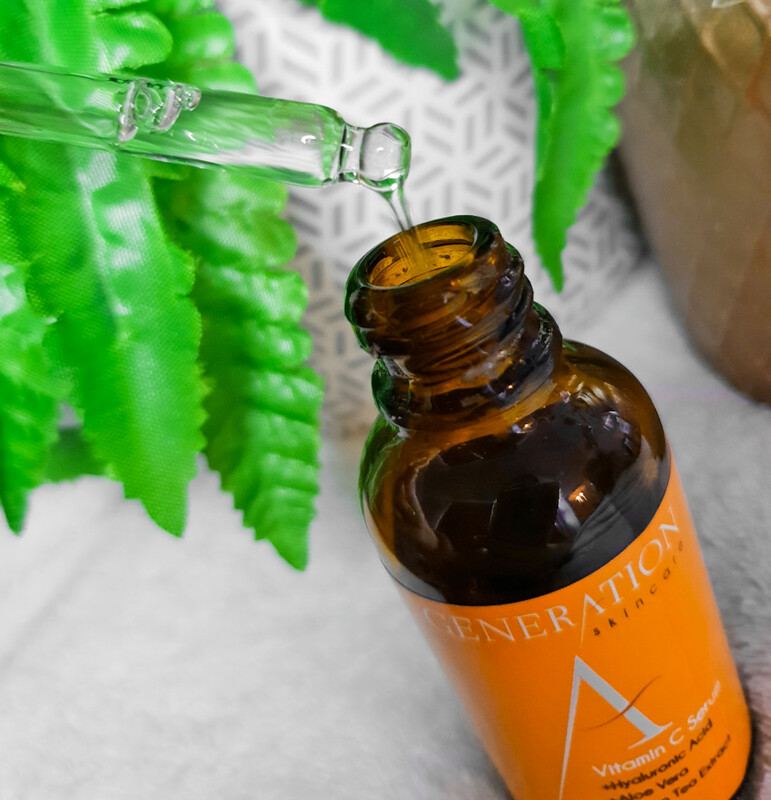 What are your thoughts on the Generation Skincare Vitamin C Serum? What serums are you loving right now?